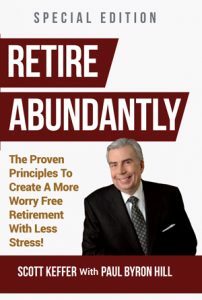 Professionals, executives, and business owners will gain insight, principles and practical advice on how to enjoy a great retirement and leave a lasting legacy in Retire Abundantly. Contact us for a complimentary Retirement Stress Testing session at which you will receive a free copy of Retire Abundantly. idea – a vision to guide professionals, executives and private business owners — and the families they leave behind — in making informed retirement decisions to preserve, protect and pass on wealth. Our professionals help clients take control of their financial futures, manage life’s uncertainties, gain peace of mind, find financial freedom, and make an impact to finish strong. Paul Byron Hill’s Rochester-based firm was birthed out of a family disaster. 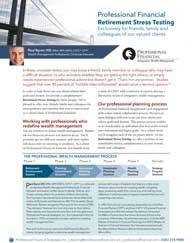 From that crisis came a desire to help people prepare for life’s uncertainties. Out of working in a broken financial services industry system was born an independent registered investment advisory firm, without conflicts of commissions — focused first and foremost on the client. 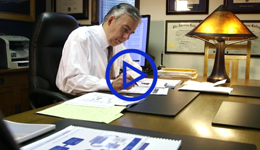 Paul Byron Hill, CFP® explains why integrity is the foundation of a sound financial planning process – from the professionals who manage the process, to the solutions they provide to the expectations they have for the clients they advise. 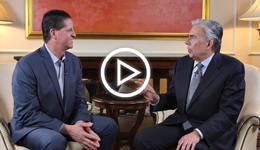 Paul Byron Hill, CFP® is interviewed by James Malinchek, featured on ABC-TV’s Secret Millionaire, and shares his personal story of individual struggle and a family crisis, and how that gave him a deep empathy for those financially struggling to find their way. 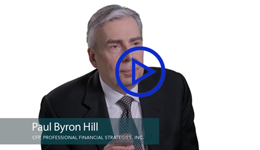 Paul Byron Hill, CFP® explains in an interview series by Dimensional Fund Advisors how a professional wealth management process can move families from worry, fear and confusion to peace of mind, financial freedom and making an impact.